Girls will work side by side with Diamond Athletics staff learning various aspects of running an all-star cheerleading and tumble practice. Elements of warming up, stretching, timing, safety, proper attire and cool down will be discussed and information will be relayed why each element is important. The girls will work one on one with some of our mini athletes to implement what they have learned. 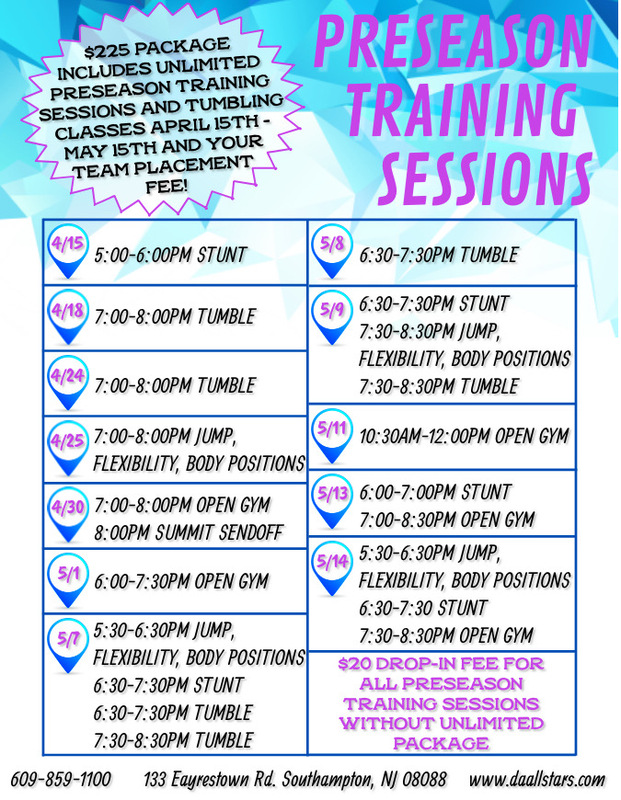 Girls will enjoy stretching, tumbling and playing games. Stay strong and courageous. Girls will do a mini workout and play games. Girls will learn a mini dance routine and play games. Girls will read a story, play games, tumble and enjoy a snack. and information will be relayed why each element is important. The girls will work one on one with some of our mini athletes to implement what they have learned. Bring a lunch for break. Snack and badge will be provided.